Each work comes in a range of size, finish and frame options. Approximately 70 x 70 cm black or white box frame. The print sits within a white floating mount, bringing the colours to life and creating a modern accessory for a home or commercial property. For the art lover, a high quality giclée print, signed by the artist. Printed on cotton archival-quality paper and hand finished. A beautiful piece to be treasured. 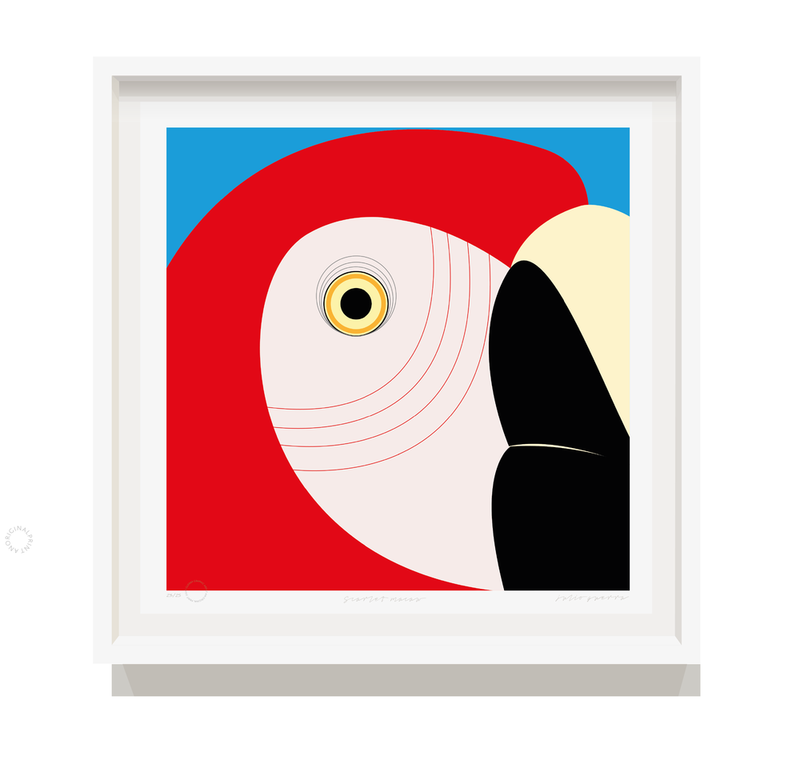 The small print has an artwork size of 12 x 12 cm and comes on a A4 sheet. 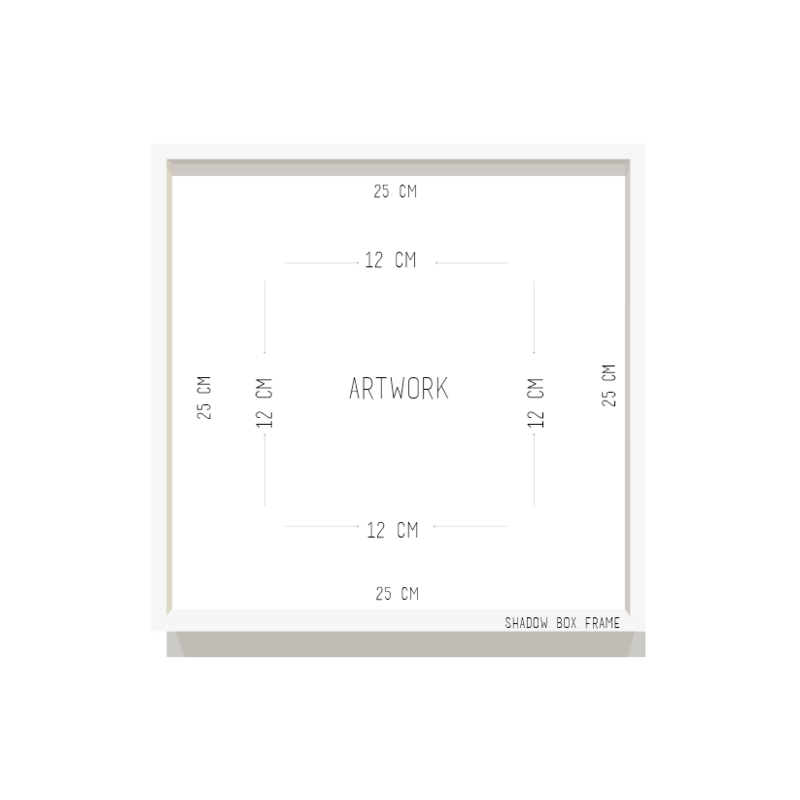 Large: 70 x 70 x 4.5cm white box frame with glass. With hanging loops. Small: 25 x 25 x 4.5cm white box frame with acrylic sheet. With hanging loops. This is also available in black on request. Large: 91 x 61 x 4.5cm black box frame with glass. With hanging loops. 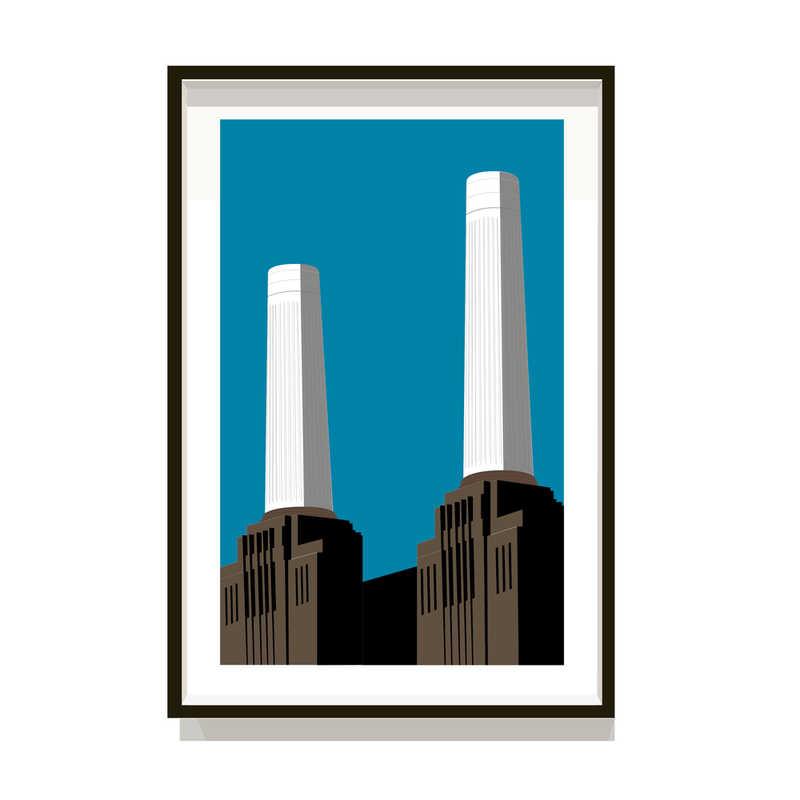 If you have a different frame in mind, we may be able to help, or you can order any print unframed. Do the prints come with the watermark? No, the watermark on the prints are on this website to protect the intellectual property of the artist. The prints you purchase will not have this. All fine art prints come signed on the mount board by the artist.